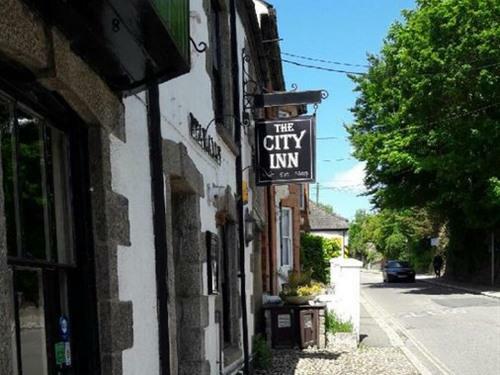 The City Inn is a former coaching inn, 5 minutes' walk from Truro city centre, Cornwall's county town and its only city. This cosy Cornish Inn offers 6 clean, well presented guest rooms. All rooms comprise ensuite shower rooms, televisions and tea/coffee making facilities. Cots can be provided on request. The Inn's 5 fireplaces, stone walls, Cornish slate bar and South facing beer garden all provide guests with a real taste of Cornwall and a perfect break. PLEASE NOTE: Check in Monday to Saturday must be before 22:00 hours as we are not a 24 hour service. We stayed one night, the bed was so comfy, the lady helping us didn't know the area but knew a guest who did. It was lovely.